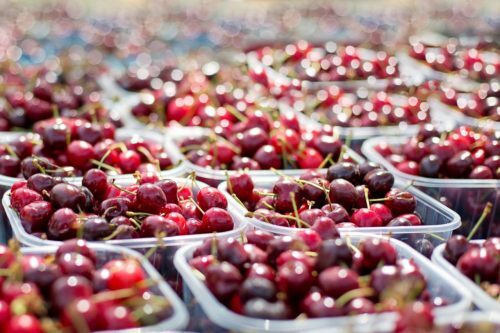 We absolutely love the National Cherry Festival. It’s a celebration of all things cherry. 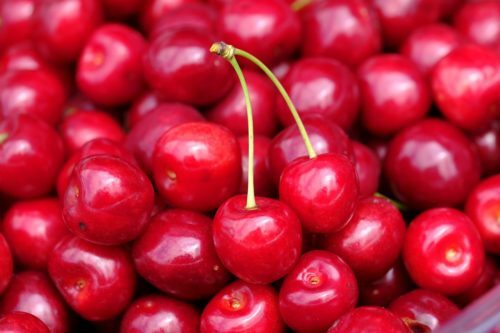 This humble agricultural festival has fruited an international celebration for the Cherry Capital of the World. With 150 events over eight days, it’s no wonder we draw over half a million attendees every year! Over 85% of the events are free with a selection of parades, an air show, fireworks, pageant, golf tournaments, numerous races and contests, rides, classic cars, delicious food and beverages, concerts, dancing, and cherry everything! It’s always family friendly, with offerings for the very young and the young at heart. Around 1910, the cherry growers in the Traverse City area began to gather for a blessing of the blossoms, which itself eventually blossomed into today’s National Cherry Festival in 1926. Since we’re focused on the cherry crop and cherry products now, it’s no longer held in May. 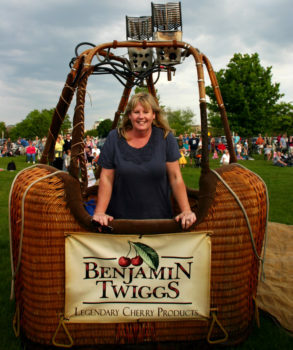 In a way, the cherry festival is a celebration of Benjamin Twiggs. Not the store, but the legend. If you’ve not heard the Legend of Benjamin Twiggs, you’ll find it on our About page. He had a pioneering life in the early 1700s wrought with hope, adventure, misfortune, and perhaps the start of cherries in our area. While Fort Wayne, Indiana lays claim to John Chapman(better known as Johnny Appleseed,) we have Benjamin Twiggs. Over the generations, there have been many stewards of the legacy of Benjamin Twiggs. Some stewards are credited with the propagation of cherries, the idea to commercialize the crop, and always to be purveyors of legendary local cherry products. The torch is currently carried by our own Julie Millen. Her story actually draws some very close parallels to the legend of Benjamin Twiggs. We’d like to personally invite you to visit our store and see the very best cherry products in northern Michigan. You can stop in or order online year-round, but if you’re reading this during the National Cherry Festival, be sure and visit us both in our shop and down at the open space – our booth is there every year.